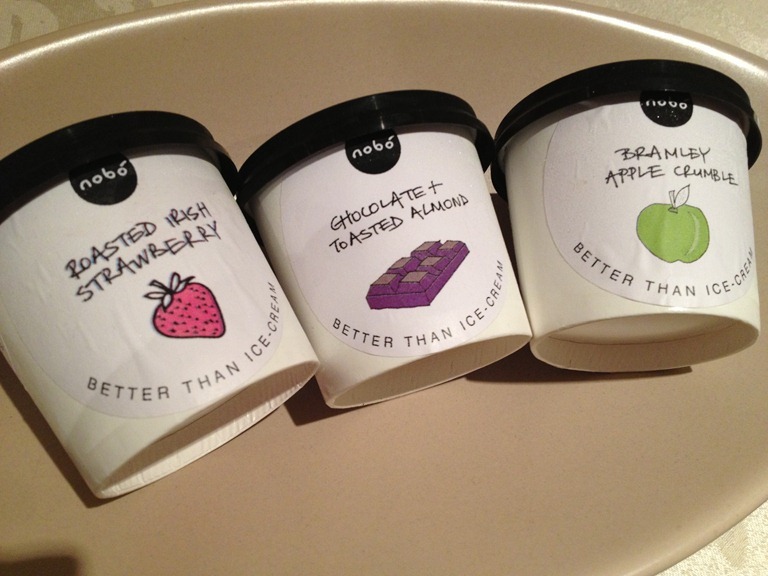 Nobó makes three flavours: Roasted Irish Strawberry, Chocolate + Toasted Almond and Bramley Apple Crumble, and all are made with only a few ingredients – some of which may surprise you. What makes these frozen treats creamy & rich is avocado, but don’t let that scare you! Avocado can be made to take on almost any flavour, plus its natural fat content makes it a great base for non-dairy ice creams. I’ve sampled all three flavours and could not taste any hint of avocado; just fresh apple, strawberry and rich, dark chocolate. 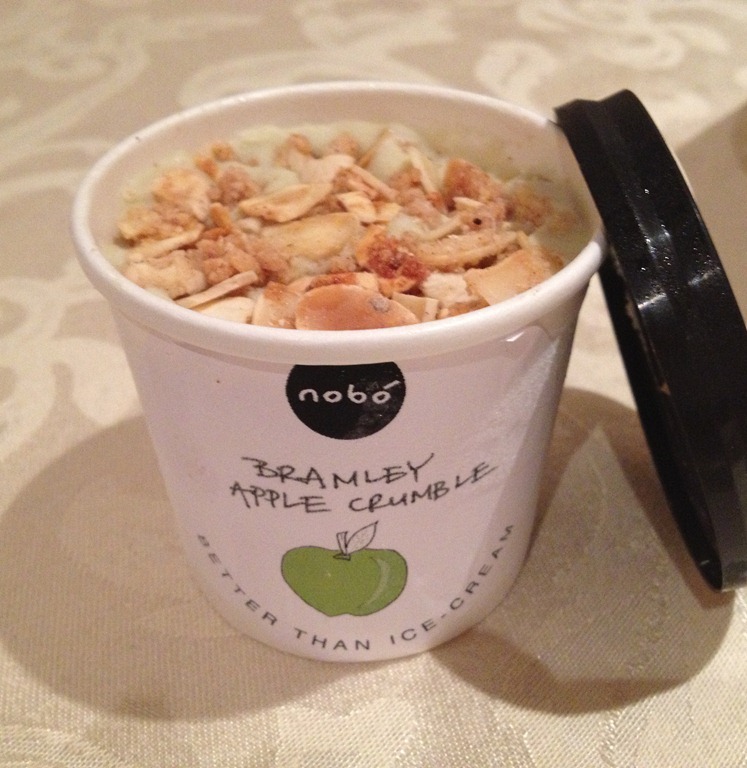 My favourite is the Apple Crumble, which has a lovely nutty, crunchy crumble topping – so GOOD! The company was started by Rachel and Brian, an Irish couple who lived in New York for years before making their way back home. Though they could easily find vegan, dairy-free products in NYC they had a hard time finding them here. 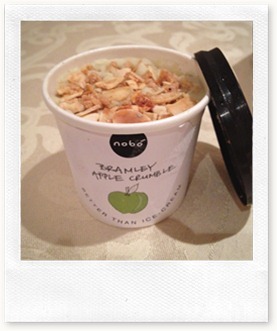 As necessity is the mother of invention, they took matters into their own hands and created Nobó. 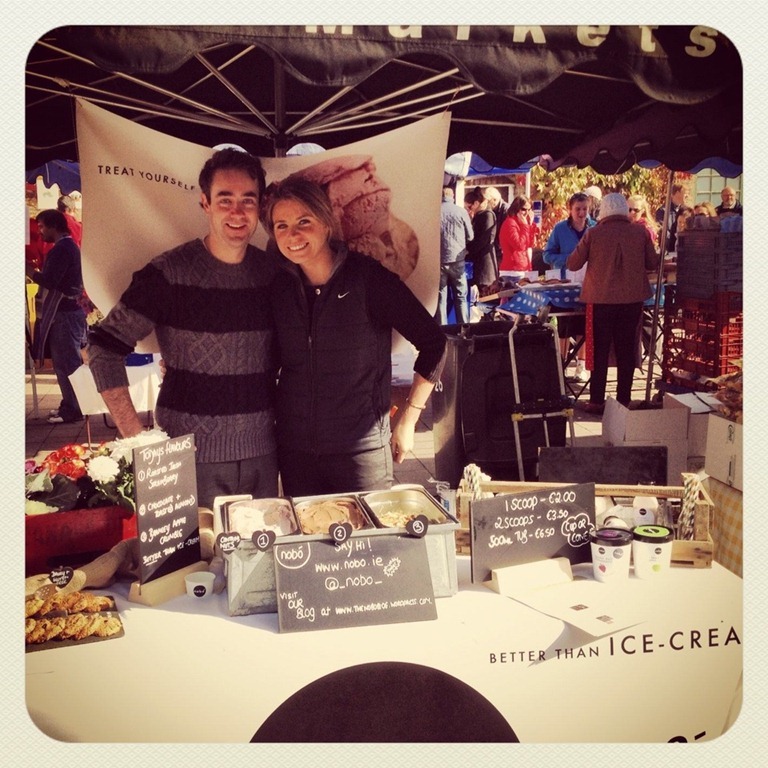 The company is the perfect marriage of New York-inspired healthy food innovation and perfect, fresh Irish ingredients. 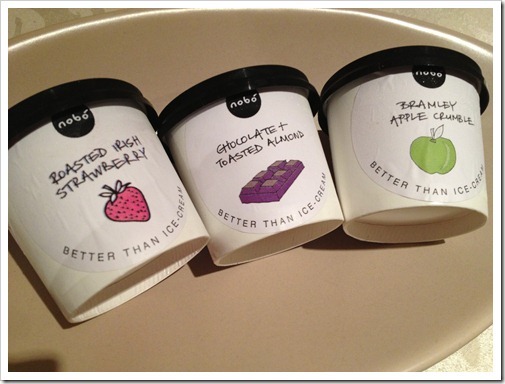 As Ireland’s first ever dairy-free, healthy ice cream alternative, Nobó is a ground-breaking venture that gives lactose-intolerant people a wonderful sweet treat that effectively looks and tastes like ice cream. Though I’m not lactose intolerant or vegan, I actually prefer the clean, natural taste of Nobó’s products over typical ice cream. 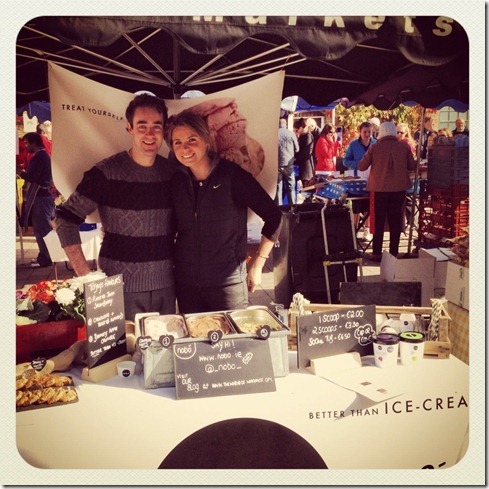 I like that Rachel and Brian are using real ingredients to make something even better than ice cream rather than adding lots of artificial colours and flavourings to make a low-cal version of the real stuff. At the moment Nobó is only available at Marlay Park Farmers Market but soon you’ll be able to order it for home delivery online. Rachel tells me they’re in talks with several Irish markets and grocery chains and are working to get Nobó into shops soon. Keep checking their website for updates, and take a look at their blog which is full of incredible vegan recipes and ideas. 6 corn tortillas, baked in a 200 degree oven for about 5 minutes so they can get crisp. Preheat oven to 170C on a fan setting. 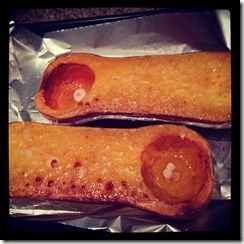 Split the butternut squash down the middle scoop out the seeds. 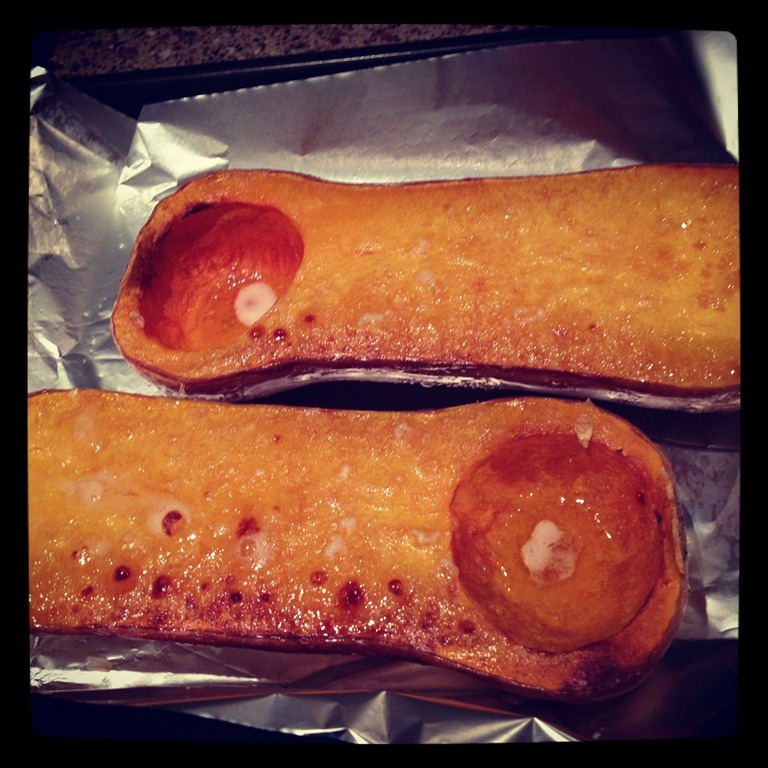 You’ll be left with two halves of squash. Lightly season with salt and drizzle with a bit of oil and lay cut-side-up on a baking tray. Place the three garlic cloves on the baking tray as well – make sure they are unpeeled. Set aside. In a large bowl, toss together beetroot cubes, cumin, coriander, cayenne, oregano, 1 teaspoon sea salt and 2 teaspoons sunflower oil and toss to coat evenly. Spread the beetroot out on a separate baking tray. Place both the squash and beetroot into the oven and bake for 30 minutes or until squash and beetroot are tender with a fork. While these are baking, make your guacamole and pico de gallo. Let cool for 5 minutes. Scrape the butternut squash out with a spoon and squeeze the roasted garlic out of their skins. Puree in a food processor or mash with a masher, adding salt to season. To assemble: Take one corn tortilla and spread some butternut squash/garlic puree on top. Put a couple of spoonfuls of the beetroot on top of that, and then place another tortilla on top. Do the same thing until you have three tortillas stacked on one another. 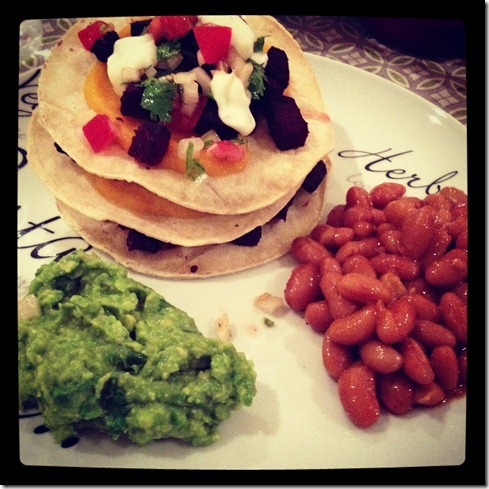 Top with pico de gallo and guacamole and a dollop of natural yogurt (omit yogurt for vegan version). Do the same with one more stack, and serve with a side of Mexican beans or a salad. I get my Mexican beans from Lily! Really looking forward to try these. I love ice cream but being lactose intolerant i find it very hard to get any! Could you please post the ingredients of this ice cream? The website does not mention them. Thank you! I have found vegan ice cream often tastes ‘cleaner’ than the milk-based kind, provided the right base is used. There’s a coconut cream that Double Rainbow in California makes, for example — lovely. An American in Ireland is powered by	WordPress 4.5.17 and delivered to you in 0.236 seconds using 45 queries.